For the past 7 year on the beaches of Playa Del Carmen in Mexico, a festival gives the starting signal for electronic music in the upcoming year. 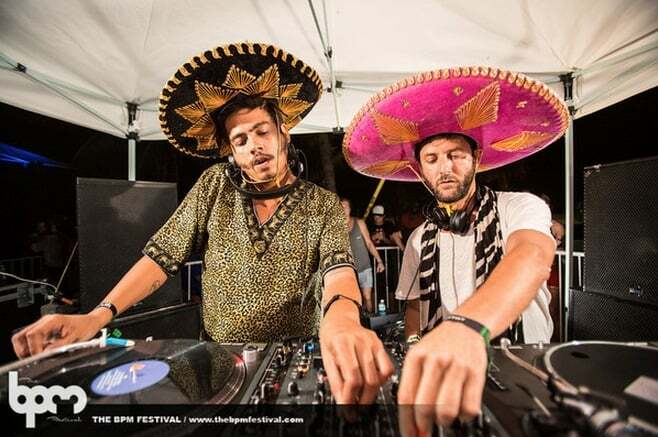 While clubbers from Europe and North America are seeking sanctuary in the underground clubs for the duration of winter, in the Mexican paradise filled with beaches, sand and too much tequila, BPM Festival breaks loose, giving music enthusiasts a refuge from the cold weather. BPM hosts its seventh edition and isn’t showing any signs of slowing down. In 2013, over 30.000 music lovers from all over the globe showed up and this year more are expected to show up. After their full artist line-up from last week, it is safe to say that BPM is again bringing together the biggest names & labels in the industry. The festival commences on January 3rd with a My Favorite Robot Showcase. LA’s Culprit will host a showcase on the 6th, having an outstanding line-up : Adriatique, Climbers, Droog, Jozif, Justin Jay, Matt Tolfrey & Shall Ocin. Solomun’s Diynamic showcase will have their usual superb line-up with H.O.S.H., David August(live) and Stimming(live), to name a few. Visionquest’s Superpleasures will arrive on the playa with whacking names such as Matthew Dear, Shaun Reeves, Ryan Crosson, Lee Curtis. Unfortunately ‘the Troxler’ is not on this line-up BUT will make his appearance for Circoloco the same week. The ever innovative label Innervisions will host their case on the 11th, having Dixon & Henrik Schwarz as their main act. Of course Jamie Jones & Lee Foss’s Paradise will make its presence. Their line-up is completed by the likes of Benoit & Sergio (live), Cajmere & HNQO. To complete the series of showcases, Crosstown Rebels will throw their Rebel Rave with the legends Masters at Work, Damian Lazarus, Fur Coat, Francesca Lombardo, Danny Tenaglia, Subb-An and Infinity Ink. The line-up is filled with over 250+ artists from different genres like: Loco Dice, DJ Tennis, Maceo Plex, Steve Lawler, Catz N Dogz, Thugfucker, Hot Since 82, Andhim and many, many more. Juggernaut techno labels did not want to miss the warm weather fun so Luciano’s Cadenza, Adam Beyer & Ida Engberg’s Drumcode and Richie Hawtin’s renowned Enter will bring the bashing techno vibe onto the beach. To sum it all up: BPM proposes a utopian oasis for the course of ten days. It aims to grant its guests the opportunity of escaping their day-to-day lives and replenish their souls through through music, sun and some intense partying. If one of your New Year resolutions is to see as many artists as you can in one year, then this festival will end your resolution within two weeks. FIESTA! !